So, the blessed day has arrived, that second pink line has finally appeared, and you are pregnant! Maybe it’s your first baby, maybe it’s your 6th. Either way, knowing you are about to bring a baby into the world can be very exciting and overwhelming all rolled into one. Is it possible to follow a budget for a new baby? 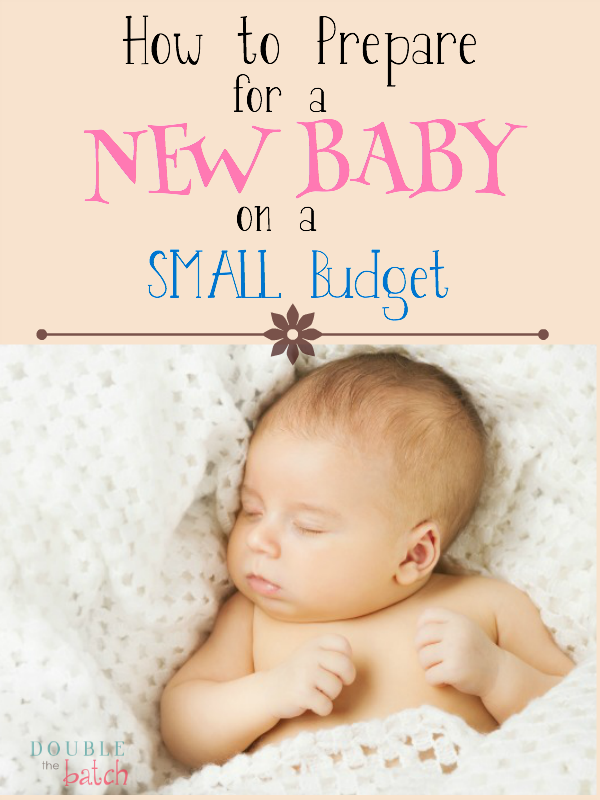 How do you prepare for a new baby on a small budget? Money, unfortunately, is a part of having a baby (A BIG ANNOYING part). Finances have been tight most of our marriage, so because of this I’ve learned how to prepare a budget for a new baby . Hopefully what I have learned will help ease your stress a little. so you can focus on loving that sweet baby! Amazon has something called a “universal” registry. This universal registry is so helpful because you can register from any website and your guests only need to shop from ONE list. Plus, they give you a coupons to go towards all of this stuff, so register now even if you aren’t planning on having a shower. Complimentary announcement cards to mail out to friends and family. Referral program: Refer other friends to register at buybuy BABY, the retailer will send you a Referral Award valid for $25 off any purchase of $100 or more. Great for picking up the more expensive baby gear! Enjoy 10% off any items remaining on your registry after your baby’s expected arrival date. Registry checklist and expert buying guides will help you make informed decisions before making major purchases. Free buybuybaby.com goody bag upon registering (pick up in stores, limited areas). Begin by making a list of things you feel like you want for this baby. 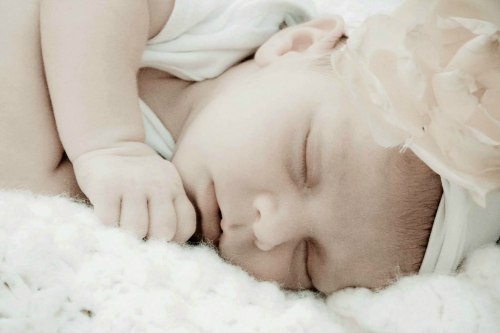 On this list include everything from binkies, and breast pumps to diapers and blankets! Go through that list and put a check mark by those items that you know are absolute needs. This will help you see what the bare minimum is that you can get by with. If it’s your first, you may be surprised how many items you could actually get by without. Every person is different, but I will just name a few of the things I realized I didn’t actually need. Changing pad covers– I have never bought specially made covers for my pads because I always felt like they were overpriced. Instead I have done 3 different things over the years to cover mine. When times were really tough, I used towels. When I wanted something that would stay on better, I bought cheap king sized pillow cases. They fit perfectly! With my last baby (#4) I waited till flannel went on sale for $1 a yard, then bought some cute prints that matched my baby’s room and made my own pillow cases to slip over. Easy! Fancy Bottles- There is an endless sea of bottles: glass, plastic, curved, straight, print or solid colored, fancy valves for colic, you name it! Seriously, just make sure it’s BPA free and it doesn’t leak. Don’t feel like you have to break the bank on this one. I’ve used these and these and BOTH worked great! You don’t need a ton of bottles. Just wash them out after using and they’re ready to go for the next feeding. Crib bumper- Cute, but not necessary. I had one with my first baby, and it kept me up at night because I always worried my baby would get their face smooshed into it and suffocate. Save yourself the lost sleep and moola. Breast pads–You may be one of those blessed women who don’t leak all the time but I was not! After I had my first child, I seriously spent more money on disposable breast pads than diapers. I am NOT kidding! After that, I got smart and bought washable breast pads like these to save us a bundle of money. If you are expecting your first, maybe buy some disposable ones or just a couple of pairs of the washables until you know for sure how your body will be. Burp Cloths– You just CANNOT have enough of these. I found that cloth diapers like these work the best for being cheap, durable, and absorbent. If you want to make them cute, there are PLENTY of tutorials on Pinterest on how to do that! Swaddling Blanket – Unfortunately I didn’t learn how valuable it was to swaddle my baby until my 3rd. Oh, the joy when I learned how to swaddle and my babies finally slept longer than an hour. I was ONE, HAPPY MAMA! There are lots of different swaddling blankets out there, but after a lot of trial and error I have found that these blankets are the best to swaddle in. These blankets are big and light weight! Or you could also invested in one of these. 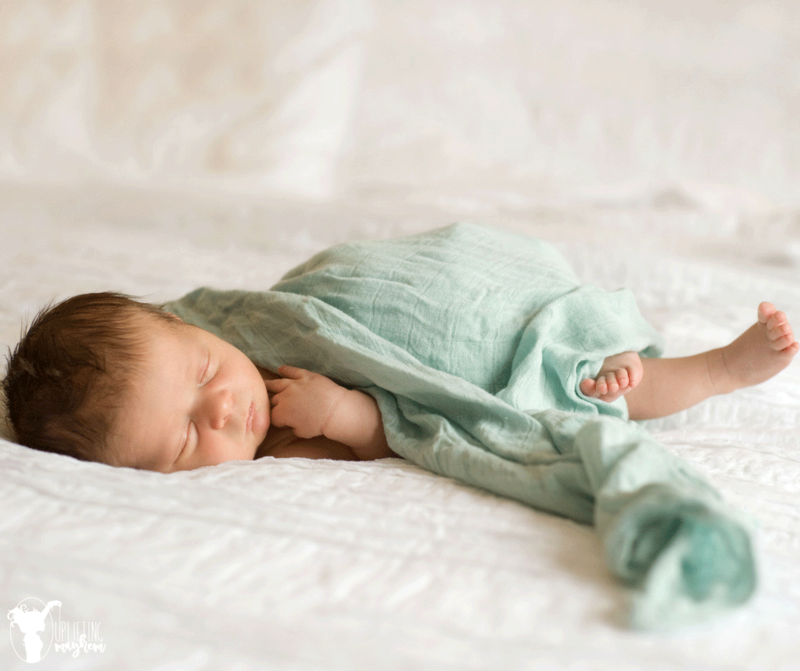 CHECK OUT THIS ARTICLE for How To Swaddle Your Baby and WHY You Should. The 4-in-1 Nursing Cover – This cover is AMAZING! Not only does it double as a scarf and car seat cover, but it’s also breathable and lightweight, and provides full coverage. It’s one of my all-time favorite products. If this is your first baby, chances are, you will get a lot of baby clothes at your baby shower (make sure someone throws one for you!!). You will still need to fill in the gaps with what you don’t get, not to mention all the years to come as your baby grows. Let me give you some valuable advice on this: BUY USED! Kids go through clothes SO fast and there is an endless sea of mothers out there who have boxes of baby clothes sitting in their basements. Better yet, before you buy, ask around to see if someone just wants to get rid of their clothes. Better you than good will, right? 90% of my kids clothes have come from hand downs. I usually have MORE than what they need! There are times I do buy a new outfit, but it is a rarity! Let’s face it, diapers can be a huge expense until your child is potty trained! I have done both cloth diapers and disposable and have to say that you can do either on a small budget. There are so many new cute cloth diapers out there and smart tools to make them less of a hassle and less….gross. I cloth diapered my second child and really never felt like it was a huge hassle and it saved us a bundle of money. I did disposables with my 3rd and 4th and I started stocking up when I was pregnant. Take advantage of sales when they come, when you see a great deal on diapers, stock up! Generic diapers usually go on sale at a good price. Name brand diapers can be bought with coupons. I love Amazon mom for this because I can get name brand diapers for almost as cheap as generics. Free 2 day shipping is also included with amazon mom and I take advantage of that to do all of my other shopping! Right now you can sign up for a 30 day free trial and also get a $10 credit towards your first purchase. Click here to find out more. No question here, breast milk is best and also FREE! I will always say that breastfeeding is the way to go, especially on a small budget. Having said that, the first 4-6 weeks of breastfeeding can be painful and…frustrating! If you can get past those rough weeks though, it is so worth it! I loved being able to nurse my babies in bed or on the go without the hassle of making bottles or buying formula. There may be times that situations in your life that will decrease or even stop your milk production. I lost my father in-law when my baby was 2 months old and my milk dried up over night. I tired different supplements and I never had my supply come back like it was. IF you decide NOT to breastfeed, PLEASE don’t feel bad about it. I spent so much time stressing and crying when I was having to feed my baby formula, but he was just fine! Do your best, but don’t beat your mommy self up if you have to do something different that what you had planned. If you don’t have insurance, there are still ways to cut your bill dramatically. A friend of mine who was struggling financially, was stressing because she knew they would have to pay their entire bill. She was smart and went directly to the hospital and talked to someone on the labor and delivery staff. They gave her a list of everything that is charged to a someone who has a baby. She was surprised at all the things she could say no to and not have to pay for. Also, they told her that if she had no complications and wanted to, she could go home a day earlier and pay half as much! Always take advantage of cash back for any online purchases you make. I love EBATES for this because it’s as simple as signing up for an account and then just going through their site to your favorite shopping sites. Whatever items you buy, they give you cash back. Plus, they give you a cash bonus when you first sign up. Done! You’d be surprised at how fast it builds up! Also, after you sign up, make sure you install the Ebates bookmark button to your search bar so that you get reminders every time you are on a site that is eligible for cash back. Before I did this, I would always forgot and miss out on my cash back. I also love Zulily for great discounts on mom and baby/kid products. It can be overwhelming to think of everything that needs to be done to prepare for a new baby. Instead of letting you’re ever growing list stress you out, organize your efforts and do what is most important first. Also, don’t forget to take care of yourself and enjoy those things that you won’t be able to enjoy right after having a baby. Here is an article, 10 Things To Do BEFORE You Have Your Baby, that will help you get organized before baby arrives! Tip # 9 – Ask for Help! A few weeks later, another friend called to inform me that someone in her family was moving and “Would I like their changing table?” People are so awesome. Spread the word and use Facebook! There are so many resources out there to share. Then, when you find yourself , in the future, not needing your baby clothes or stuff anymore, pay it forward and give to someone in need! I have always been surprised and humbled at how I have been taken care of during all my pregnancies. I believe all my babies come from a Heavenly Father who is always watching over them and me. If babies come from heaven, don’t you think our Father in Heaven will help you take care of them? Have faith, ask and pray for help and then put the rest in the Lord’s hands. You will surprised at the blessings that can come! Do your part, and then let Him do the rest. Never let money discourage you from bringing a baby into this world. Follow your heart! I wish you the best of joy in your pregnancy and in your new life with your new baby! Here’s a funny and uplifting music video that I know you will just love. If this is your first pregnancy, this will give you a glimpse of what you have to look forward to, if it’s not your first, it’ll give you a good laugh because you already know and can relate!